3D grass is a new design technology that makes artificial sports grass the best synthetic turf from root to tip, but how does it work? Check out these facts about how it works. Its fiber blend changes the turf game and scores big wins for this field turf. Once you know the science, you’ll see why it’s a great choice for any sports venue. This artificial sports grass scores points for safe play, long wear, low cost, and low water use. It has a great blade shape, fast drain mesh back, and a tough blend of yarns in the blades and thatch. All of that adds up to give the lawn a long life and make this turf a safe choice for infield sports. Watersavers Turf has this new 3D grass in stock with all the tools you need to install it as your new synthetic field. We’re here to help you make a smart choice with this new artificial sports grass for long wear and safe play. First, take a look at how it all works. With a pile height of 2.185” and a face weight of 56.47 ounces, this sports turf (WST56 – 3DGRASS) feels and looks full. Each step you take on it feels like a real live lawn. That’s not what sets it apart, though. More than one type of faux lawn has a face weight close to this one and a pile height in the same range, so why does 3D grass beat them all for sports use? It has to do with a word that you might not see a lot of in your life. Have you ever heard of a “micron?” A micron is a unit that measures the thickness of a mono filament fiber. It is not a metric you will see every day but when it comes to sports turf; it is one of the most key things to look at. How thick the fiber is in a blade of faux grass is makes a big impact on how well it can stand up to wear and tear. That makes sense, right? The thicker each blade is, the more strength the lawn will have in the face of hard use. Rough use can wear a thin fiber turf down to a hard or bare thatch. A thick fiber stays full, lush, and soft to the touch, and won’t give in to the weight of heavy foot traffic from a team playing hard to win. A thick field is safer to run on, because the plush, even surface cuts the risk of skids and slips. All of this means that the more microns your sports turf has, the better it will hold up for safe play in your arena. While most faux lawn is only 100 to 200 microns thick, the unique fiber blend in 3D grass is full 360 microns thick! That means this new product has more microns than any other faux sod fiber on the market. The high-tech fiber of this turf is great news for sports fields. The tough tests run on this faux grass before it even gets to you help set it apart. Independent labs all over the world were made a key part of the design process for this fake sod. Well before the 3D grass made its way to stores like ours, these labs ran tests to check its blade and yarn strength. They even measured how well it stood up to UV rays, to be sure that the lawn would keep its emerald and olive green color blend in the glare of direct sun that can cause some dyes to fade. Fans and teams want a field that stays bright and looks fresh for years, and these labs found that the way this faux grass is made lets it hold color and shape in harsh conditions for quite a long time. In fact, they projected that this sod can stay green and safe for up to 20 years, even in the face of active play! The rigor of science has put this turf through its paces, and the result is a field that can stand up to game after game. Part of that has to do with how fast it drains. 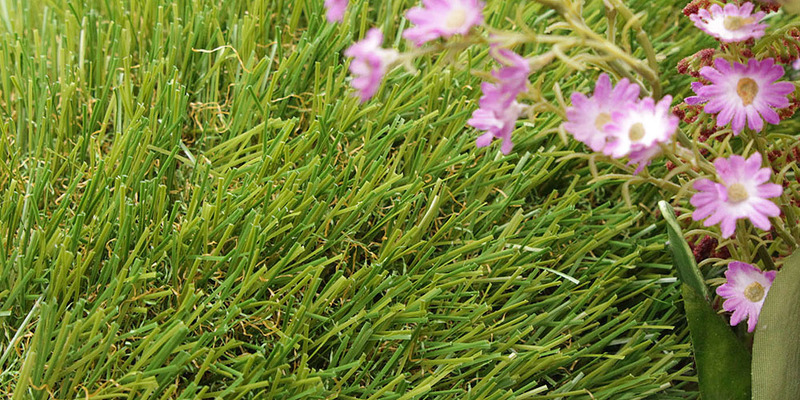 Under its fibers is a back that has a wide mesh with larger holes than the backings on many other types of faux sod. This lets water move through fast when rain hits the turf. When water moves along fast, it won’t wear on the fibers of the blades or the thatch, or cause any damage to the field. Not only will you be able to play quickly and safely on dry grass after rain, which means less canceled or rescheduled games in a season, you will also have a field that lasts longer because it does not weaken due to floods or water saturation. Are you game to make this new cutting-edge fake lawn your next sports turf, or do you want to know more about it? Contact Watersavers Turf for all of your artificial sports grass needs. Get a free quote on costs, visit one of our SF Bay Area stores, or give us a call at 844-974-8873.